A double helping of vintage cameras and photographic equipment was recently staged at Chartres by the Ivoire group Lelièvre, Pascal, Maiche, Paris (20% buyer’s premium). The highlight was a 1924 camera made by Multi-Photo which was capable of taking nine separate views or three pairs of stereo views in the large format. This doubled its estimate of €5000-8000 to take €17,000 (£14,530). 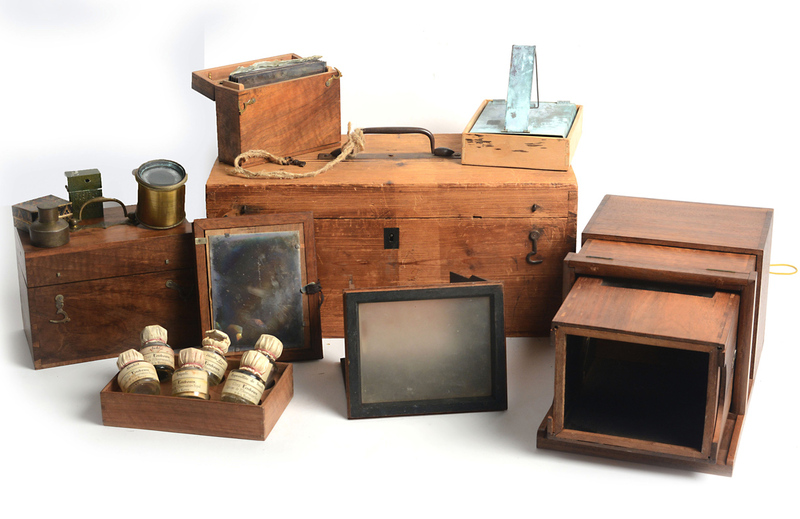 Plenty of demand emerged for one of the collection’s earliest pieces: a portable developing set from c.1865. Made by Dubroni at the Rue de Rivoli, it came with lenses and the original glass bottles and instructions and sold for €9200 (£7865). Another developing set (but not a portable one this time) was up among the best-sellers in the mixed-owner ensemble. This Chambre Daguerrienne, for developing half plate dageurreotypes, again came complete with accessories including six glass bottles and realised €20,000 (£17,095). 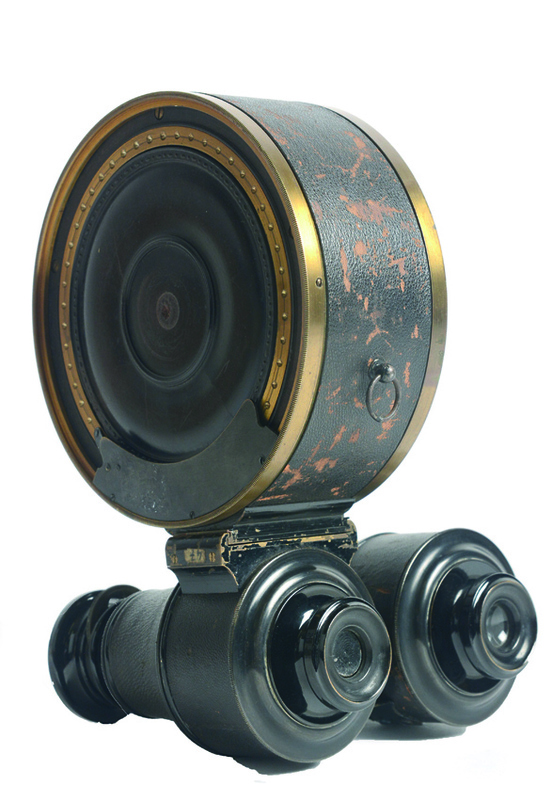 Surpassing this was the cover lot in the mixed-owner ensemble, another Parisian-made early apparatus, Geymet et Alker’s binocular-style camera from c.1867 complete with its attached magazine capable of downloading fifty 1¼in (4cm) square dry collodion plates by gravity. A rare survival, it sold within its €25,000-35,000 guide at €26,000 (£22,220). The sale also featured one of those collectable concealed or spy cameras, a photo cravat by Bloch & Dessoudeix, where the apparatus is concealed in a striped necktie and is operated by a long distance trigger linked to a chain. Popular pieces whenever they come up at auction, this sold for €11,000 (£9400).